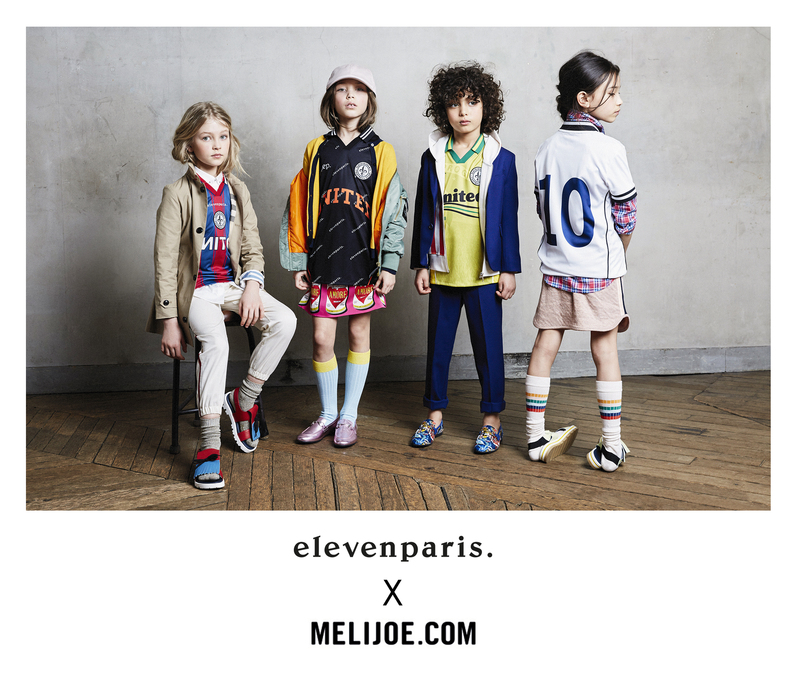 Elevenparis and Melijoe reimagine 4 football t-shirts from the most famous teams, that you can buy starting from May 25 on Melijoe.com. The "football jersey" trend has been seen on the cat walk. These 4 t-shirts can be mixed with your favorite clothes for a look that's 100% creat ive. A sports kids dream! Offering unique selections of the finest children's fashion brands... From luxury brands to emerging designers such as Gucci and Dolce & Gabbana to Bonpoint and Stella McCartney, Mini Rodini, Kenzo Kids, and Petit Bateau. Headquartered in Paris, Melijoe offers mothers from around the world a chance to look into the sharp, chic, and daring looks of children's fashion. Translated into 4 different languages, the website Express delivers to more than 120 countries with a customer experience worthy of the biggest names in the adult fashion industry.